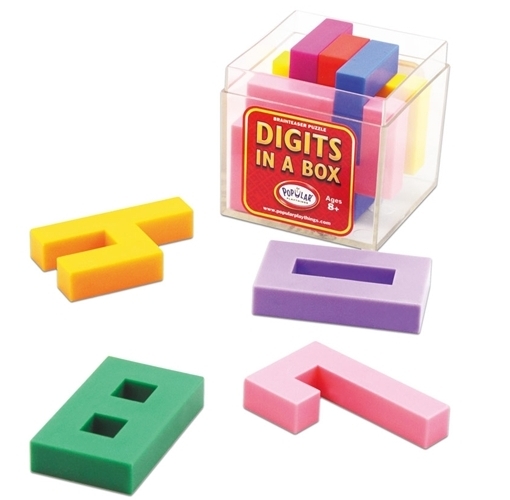 Sloyd Web Shop » Plastic puzzles » Other » Digits in a Box - Sifferlådan! Empty all the digits (0-9) from the box and try to make them fit back in, so that you are able to close the lid. This puzzle has more than 4000 possible solutions! Design: Eric Harshbarger. Tok part in 2007 Puzzle Design Competition.